Established in 2011. 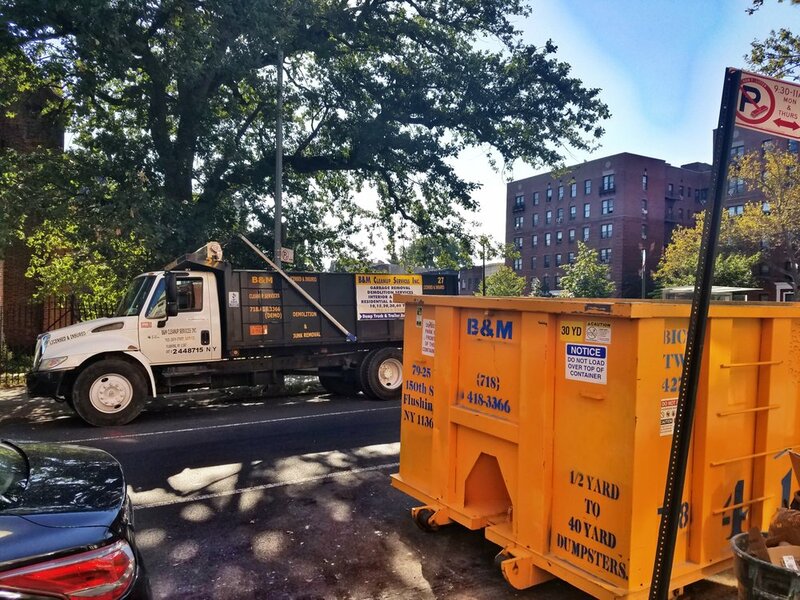 Simplify your Cleanup Give us a call.Junk, Rubbish, Trash and Scrap removal services for your home or business including offices, retail locations, constructions sites, and more. 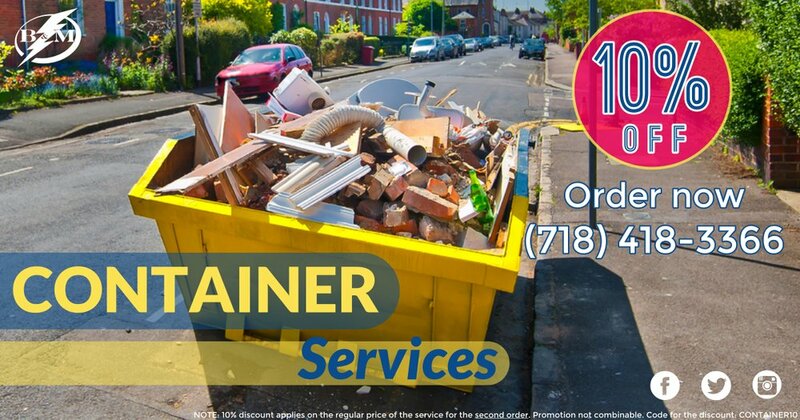 Our experts are happy to meet all of your junk removal needs, including:General Junk RemovalAppliance RemovalRefrigerator RemovalMattress RemovalFurniture RemovalCarpet RemovalScrap Metal RemovalOffice Junk RemovalTree Removal Rubbish RemovalGarbage Removal Trash Removal Disaster PreparationConstruction CleanupEstate CleanupOur Simple and Easy Junk Removal ProcessGive us a call at 718-418-3366 .Our Professional, uniformed truck team will call you 15-30 minutes before your scheduled 2 hour arrival window. 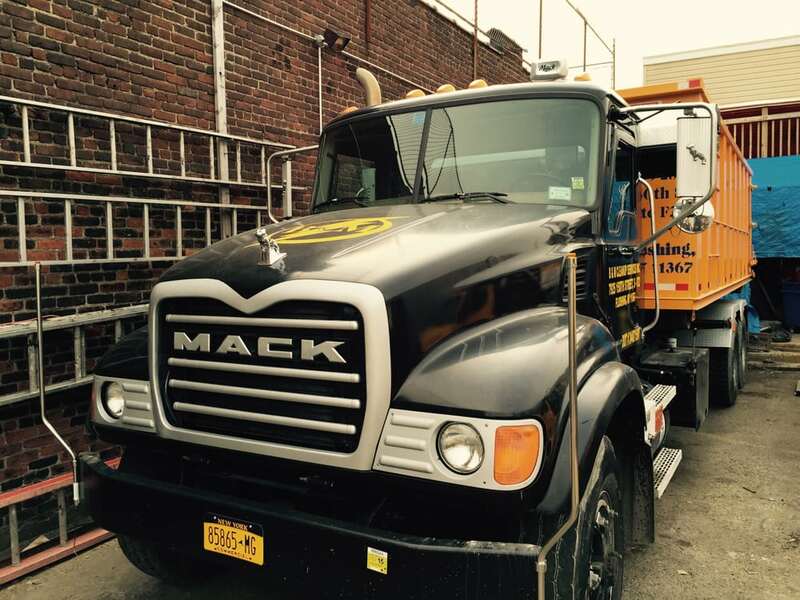 When we arrive, just show us where's the junk, we'll haul everything — easy as 1, 2, 3 ! Great experience all around. Very communicative in the office and the crew that came out was friendly and efficient. Would certainly recommend them. 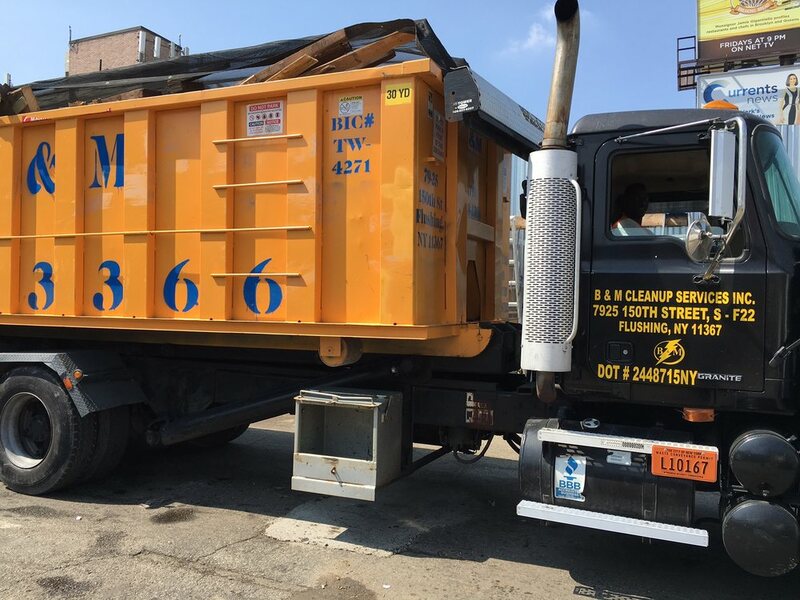 Like this company.I have small restaurant on queens blvd And B&M take care of all my clean up Services.They always coming in time. Doing very Quick and good job .And most important - Reliable price.Totally recommend this company,Thank you B&M for your Services.And specially thank you Bora the Manager. Natali is the best! I had a lot of old junk in my back yard and I needed a clean up service. I called B&M and Natali answered the phone, she was very helpful and gave me a great price after sending her some pic! B&M sent me a crew in the next day and the job was done if few hrs. I highly recommend B&M cleanup service! 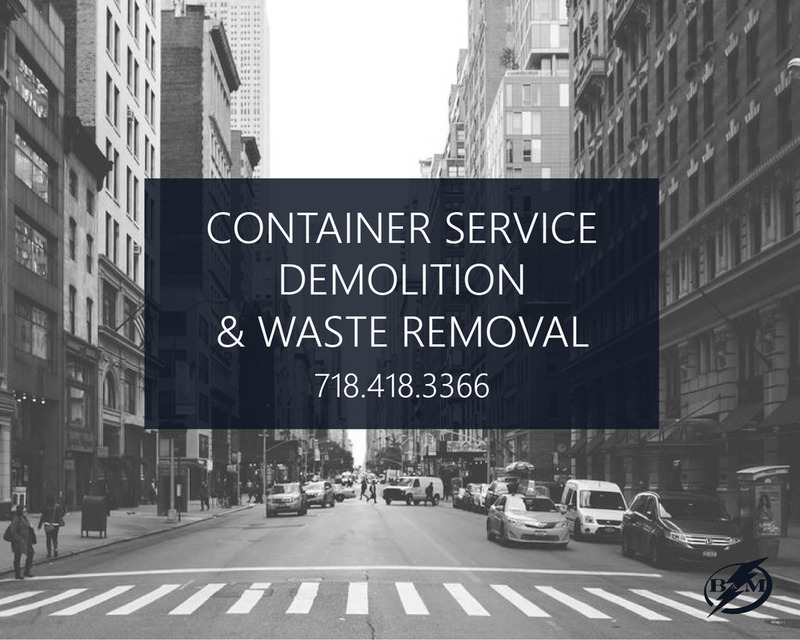 We had an approximately 300 square foot wood deck demolished on top of a fifth floor walk-up, no elevator. These pros did the entire job in one day with four guys without any damage to the roof membrane or common stair case. Their speed and muscle was impressive, and Andrea in the back office was in touch frequently before the job (budgeting and scheduling) and the day of the job (checking in to make sure all was going well). They were not cheap, but you get what you pay for and they were worth the extra money for peace of mind. It is so rare to work with a service provider in Manhattan where everything goes exactly how you hope it would go, with expectations even exceeded. I hope to never need them again, but if I do, I'd hire them again. What a pleasent experience! ! Friendly and welcoming. Easy appointment setup. Even though they are extremely busy . I was able to get them to remove some serious waist after we had renovated our home. I love the fact that they were very competitive with the price . yet their service wasnt comprised at all.Great company I would recommend all.